Melomana Records have been featured on this blog before with the Tronik Youth remix of Rubinskee and its a label that looks to have a promising future! 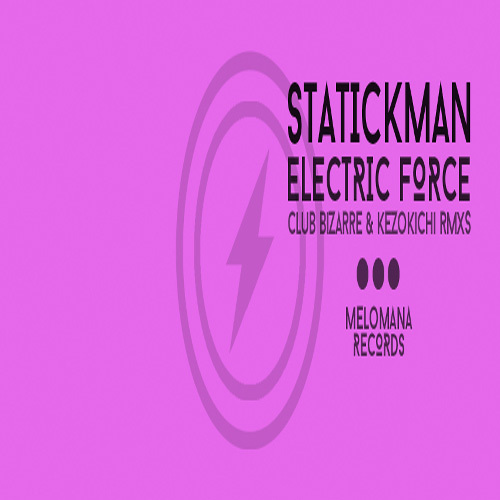 This latest release the “Electric Force” EP from Chile’s Statickman is the labels finest to date and features quality remixes from Club Bizarre and Kezokichi. The original track “Electric Force” is the highlight of the EP with its chunky bassline, groovey percussion and crazy riffs that just pan throughout the track , I think this would go down a treat in dark basements everywhere!! Here is a preview ENJOY!! !